Roxie’s education as an engineer and his experience as a drafting technician provides a great background for his construction law practice. Roxie has a degree in environmental engineering and has over 10 years of experience as an environmental lawyer and general litigation lawyer. He brings a practical and multidisciplinary approach to his environmental law and construction law practice. 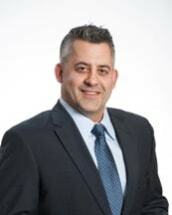 In addition to his construction law practice Roxie provides strategic advice and solutions to lawyers, environmental groups and corporations facing complex environmental problems, including soil and water contamination and flooding along with regulatory matters with Ontario’s Ministry of the Environment and Climate Change.